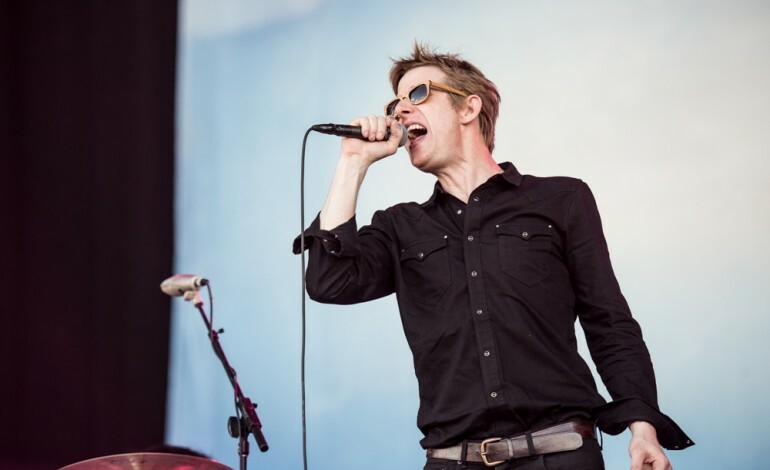 As the November midterm elections draw closer, a benefit concert for the election of pro-Democratic nominees has been announced featuring members from Spoon, TV On The Radio, The Hold Steady, Sonic Youth, and much more. Proceeds will benefit Power to the Polls, a group created by the Women’s March to encourage voters to go to the polls in November to take back Congress, as well as other grassroots groups with the same goal of supporting pro-Democratic causes. The concert will take place September 28 at the Knockdown Center in Queens. The benefit boasts a massive lineup of indie favorites including Britt Daniel (Spoon), Kyp Malone (TV On The Radio), Lee Ranaldo (Sonic Youth), Mac McCaughan (Superchunk), Craig Finn (The Hold Steady), Hamilton Leithauser (Walkmen), Matthew Caws (Nada Surf), and countless other artists. Throughout the night, there will be performances of protest music and political music with the overarching goal of bringing unity through song. In a statement about the show, executive Producer Mike Stuto says, “This concert is a call to all citizens to vote for the opposition party in the November 2018 elections…and to raise awareness and funds to help win our country back from those who will let its legacy be destroyed.” On November 6, all 435 House seats are up for grabs, with Democrats needing to flip 24 G.O.P. seats to regain a majority in the House. Republicans have been in the majority since 2010 and need to win only nine races to hold the majority. Throughout the concert, musicians will play covers of famous songs of protest as well as new collaborations, reminding the audience of the importance of democratic values and the power of showing up to vote. With a lineup featuring dozens of musicians standing up for what they believe in, it is no doubt the concert will be a powerful, moving night. Tickets are still on sale now.